The Japanese winter can be tough with the thin-walled houses and no central heating at home. In rural and snowy places, roads sometimes don’t get plowed, making everyday mobility a challenge. The Japanese ways of dealing with winter may not be second nature to foreigners, but there are some good life hacks — Japanese wisdom or not — that we can all benefit from to stay warm (and save money) until spring rolls around. You have two options to heat your house: expensive but scentless air conditioning or cheap but smelly (and somewhat toxic) kerosene heaters. 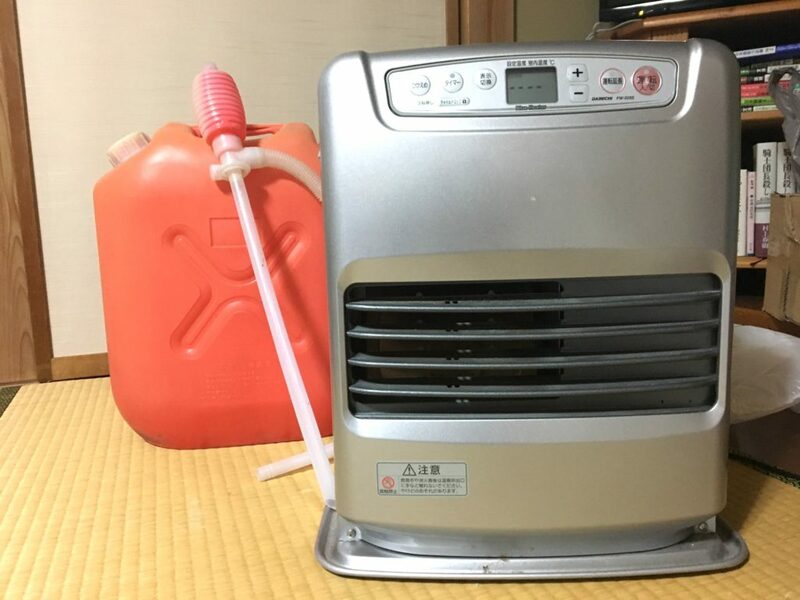 Using the heating function (暖房, or danbo in Japanese) on your air conditioner is self-explanatory, but using the kerosene heater requires a bit more knowledge. First off, make sure you store the kerosene in airtight containers (easily obtainable from supermarkets and home centers). Next, when your oil is low, simply take out the tank and refill it with either an automatic or a manual pump. If possible, refill your kerosene outdoors so that if spillage does happen, your house won’t be left stinking for the next month. When your refills run out, bring your airtight containers to a gas station and look for the signs for 灯油 (toyu), or pumps. They function like typical gasoline pumps. Kerosene heaters can keep you pretty warm, but make sure to allow ventilation at regular intervals. You don’t want to breathe in too much carbon monoxide and end up with a headache. Also, don’t put any combustible articles near the heater. The same goes for yourself — getting too close (or touching the heater) may give you painful burns. Trick #1: move out of Japan.